His previous experience is as a recovering marketing VP for two U.S. publicly traded companies and was also an Asia marketing director for Knight-Ridder, at one time the world’s largest information company. David has lived and worked in New York, Tokyo, and Hong Kong. He currently resides in the Boston area.David currently works as an advisor to numerous emerging companies in the marketing technology field including HubSpot, GrabCAD, Libboo, VisibleGains, ExpertFile, GutCheck, and Newstex. He also spends his time working with various nonprofits that interest him including the Grateful Dead Archive at UC Santa Cruz, HeadCount, and Nashaquisset. In the past he was on the boards of directors of NewsWatch KK (successfully sold to Yahoo Japan) and Kadient (successfully merged with Sant) and the board of advisors of Eloqua (successful IPO in mid-2012 and sale to Oracle in early 2013). 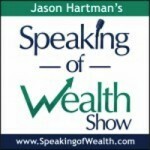 Jason Hartman: It’s my pleasure to welcome David Meerman Scott to the show. He is the author of several books, two of which I have read, and most notably is one of those, it’s the new rules of marketing and PR, with over a quarter million copies in print in more than 25 languages and he’s got some other very interesting works as well. And today I’d like to talk to David about marketing and PR and what we can do to be more effective in this very important part of our business. David welcome, how are you? David Meerman Scott: I’m well Jason, thanks very much for having me on. Jason Hartman: Well, it’s good to have you. I always like to give the listeners a sense of geography. Where are you located? David Meerman Scott: I am outside of Boston, the western suburbs of Boston, Massachusetts. Jason Hartman: Excellent. Great place, fun city. Been there many times. David Meerman Scott: It is. Boston’s a great town. Jason Hartman: So, tell us what you’re up to lately. David Meerman Scott: Yeah so, as you said the new rules of marketing and PR is the book I’m best known for, the fourth edition just came out so just coming off the back of doing some of that promotion. And I’m on a kick, Jason, I am going to reach 100 countries visited and seven continents visited by the end of 2014, so that’s what I’m up to. And yeah, it’s been really fun. I’ve got some travel, and also by the way, 37 countries I’ve delivered a presentation in and that’ll jump over 40 in the next couple months. Jason Hartman: David, I gotta tell you, you have a distinguished honor. Very few people beat me, I just got back from Europe, I’ve been to 69 countries so far. David Meerman Scott: So you’ve been to 69, you know, it’s really fun to start chalking them up. Jason Hartman: It is, it is. There are websites that help you keep track of this. David Meerman Scott: I’m going to Antarctica in December, I actually have a speaking gig there, so that will be my 7th continent I will have delivered a presentation on. I don’t know how many people can claim that one. Jason Hartman: Listen, Antarctica, that’s on my bucket list, but what’s really amazing about what you just said David, is you have a speaking engagement there. To whom? You have like an exploration company there or something? David Meerman Scott: I’m going on an expedition. Absolutely, it’s on an expedition ship with a company called Clark Expeditions. And I organize with them and I’m going to deliver a speech to the people on the expedition. We’ll photograph it, I’ll get some penguins in the picture and there you go. Jason Hartman: Awesome, that’s fantastic. I’ve got to tell you, I have this little ego thing that I’m really, really dying to do in a curiosity thing too, which is to go to Antarctica, pop open my Facebook, and see if anybody has checked in and if I can check in there. David Meerman Scott: Nice, yeah, yeah I know, I want to do the same thing. Jason Hartman: You’re going to do it before me! David Meerman Scott: Well, I want to see if I can get anything on foursquare and see if there’s anybody who’s checked in down there in foursquare. Jason Hartman: What do you want to bet that there is? David Meerman Scott: Oh I bet there is, because it’s not as unusual. I heard doing the research on this crazy stuff I’m doing, there’s approximately 30,000 people per year that visit Antarctica. So it’s not as unusual as it once was. Jason Hartman: Much bigger number than I thought. Well, good stuff. Let’s talk about the new rules of marketing and PR. In the book, you talk a lot about the mistakes that people and companies make in their promotions, and some of the words that are just so worn out and hackney. We’ve all heard them a million times in press releases and so forth. David Meerman Scott: Yeah, yeah, mission critical, cutting edge, best of breed nonsense,..
Jason Hartman: Blah, blah, blah, yeah. Exactly. But, just from a 30,000 foot level and overview, conceptually, and then we’ll drill down, what are the new rules of marketing and PR? David Meerman Scott: So, the basic idea is that over the last ten years or so, consumers, whether it’s B2B or B2C, it doesn’t matter, but people go to the web when they’re researching products and services. They do two big things. Number one, they go to search engines and they look for what they’re looking for, and the second thing is that they ask their friends and colleagues and family members through some kinds of electronic means. Whether it’s shooting someone an email or putting up a request on Facebook or LinkedIn or whatever it is. And therefore, the companies that are successful when someone is looking for a company to do business with or a product or service to buy are the ones that get in front of those consumers through electronic means. So what that means, is that you have to be created the sort of content that number one, is found by the search engines, and number two, is shared by people on social networks. So that means companies need to be focused on creating video based content, text based content, you know, blog posts, great content rich websites, could be audio like we’re doing right now. We’re creating content as we speak. It could be visual, images, photographs, info graphics, things like that. And that is the way to market today yet so many people, so many organizations, are still investing way too much as a percentage on things like newspaper, magazine advertising, television advertising, trade show participation, creating pretty brochures and all of that sort of stuff. Jason Hartman: It really blows my mind that companies are still throwing money at newspapers and even magazines, I mean, just, I used to consume that content like crazy, but now, first of all, I had at the peak approximately 4,000 paper books in my library here at home. And I’ve been giving them away, and some I just can’t part with, I don’t know, it’s a little bit of an addiction, frankly. Covetous addiction. David Meerman Scott: I have that addiction too. Jason Hartman: But I tell you what my one deal is though, David, I will not buy a book unless it’s a kindle book. If I can’t get it on digital format, I’m just not going to do it. Because I’m just not going to put those things in a box and move them again, I’ve just, that’s the commitment I’ve made to myself. It just, just amazes me that companies are spending money, I mean that’s a little tangential obviously, but on this old media, on these newspapers, I mean, really? David Meerman Scott: Yeah, I know, I know. I know, and a lot of it is fear based. It’s fear based because people have done their marketing, and by the way, public relations as well, they’ve done their marketing and public relations and that means hiring agencies to pitch the media on their behalf. They’ve done it that way for decades and so it’s very hard for people to get their minds around the fact that there’s another way to do it. And because they are fearful of change they tend not to make that change. And by the way, I do not advocate that it’s either or. I never say to people, oh my gosh you should eliminate every single offline marketing initiative you do. I never say that. Jason Hartman: But maybe ween it down a little bit. David Meerman Scott: Absolutely. Exactly. I mean, for example, think of real estate agents are one of my examples of dysfunction. Jason Hartman: That’s the most dysfunctional industries around, I admit it. David Meerman Scott: On a lot of fronts, but I’m talking about the marketing and PR front. They spend so much time and effort on their offline stuff. You know, putting newspaper ads in, creating really pretty signs to pound in the front yard of the houses that they list, doing parties to try to get people to come to the house and take a look and what not. And sure, I’m not saying don’t do any of that stuff, but then in the same breath I’ll go to a search engine and say I’m looking for a certain type of house in a certain neighborhood and nothing interesting pops up because no real estate agent has bothered to figure out a way to list that content so that I can see it and take a look at it. So there’s a dysfunction and in any business, it doesn’t matter, be it B2B, B2C, health care, whatever business you’re in, there’s a new way to reach people. Jason Hartman: Yeah, that’s fantastic, well, what are some of the best tools and resources, and please feel free to mention websites that people can use with cool marketing tools and PR tools, there’s just so much out there, it’s hard to navigate one’s way through. David Meerman Scott: Yeah, there is, there is. You know, I’m a big believer in kind of the first step in this process is to really, truly understand what I call buyer persona’s, which are in my language that means the people you are trying to reach. The biggest reason why people have difficulty creating content and making good websites and entering social media is because they don’t have anything interesting to say. That’s because they’re so used to having their marketing being about the products and services that they happen to sell. But the way to transform the content that you create for your marketing purposes is to focus not on the products and services that you sell but the problems that people face, who are the ones who buy the products and services that you offer. So what that means is you need to understand the people you are trying to reach. So for example in the hotel business, in the hotel business, most hotel websites around the world look exactly the same because they’re focused on the rooms and they’re focused on the restaurants and what not. I think you have to turn it on it’s ear and think about it from the perspective of who is buying hotel services. So I came up with 5 examples. There’s the independent business traveler who makes the decision to come to say, Boston, chooses the hotel on their own. That’s one buyer persona. Another buy persona, is a cooperation based in Boston, for example the Boston Red Sox. They have a whole bunch of people coming through on a regular basis, doing business with the Boston Red Sox so, they have a cooperate rate at the hotel. Very different buyer persona’s, that person who negotiates that cooperate rate. Or how about someone who’s planning a conference? They’re going to have 500 people in a room in Boston, very different buyer persona. Or a couple planning on getting married, looking to have a wedding reception in a hotel ballroom in Boston. So the best way to create online content is to think Okay, I need to create content for each of those people. And imagine if instead of just talking about their products and services, if a hotel had a blog focused just on Boston weddings, for that buyer persona, people who are looking for a place for a wedding reception and it has content, for example, maybe they did YouTube videos of different wedding bands in Boston, maybe they interviewed the chef from various catering companies in the hotel itself to get a sense of what’s the best way to put together a meal for 100 guests at a wedding reception? And all the sudden that content rises to the top when people use search engines to find information on having a wedding in Boston and that drives people into it. And I actually found an example of a hotel that does this, it’s called The Lodge at Chaa Creek and it’s in the western part of Belize. And I visited there last year, and what they do is they create content about the different things that you can see in the western part of Belize. For example, they have pages of content on each one of the Mayan ruins located there. And those Mayan ruins are in some cases two hours away in the country of Guatemala. They’re not even in the country of Belize. Jason Hartman: I’ve been to them, yeah. David Meerman Scott: Yeah, and so, I know great, huh? You certainly are a traveler, I can mention anywhere and you’ve been there. Jason Hartman: Well, not everywhere. Not Antarctica. David Meerman Scott: So, if you go to the search engines and you start doing research because you want to go see the Mayan ruins, then a hotel pops up. Because they’ve created content on it. And they in fact, I know this because I did a presentation for the Belize travel association, but they have the best search engine optimized content in the entire country of Belize. It’s a little tiny hotel. Jason Hartman: So, this is really interesting what you’re saying because usually a hotel is like the afterthought. In other words, unless you’re going to a resort in, you know, Jamaica for example, and you’re picking the resort you’re going to go to and that’s Sandals or whatever, and the hotels included with it, but you know in this case if someone says, hey, you know, I’ve been reading and hearing about Belize, I like the sunshine, I wanna go there right. Here, they’re getting the traveler first and then they’re saying, hey by the way we have rooms. Instead of most people decide, and they plan a whole trip to Belize, and then they think Oh and I need a hotel too. David Meerman Scott: Right, that’s exactly right. They’re thinking about it from the perspective of the buying process. The first step in the buying process as you rightly say is, well you know what, maybe I’m thinking about going to Belize. And so you do some basic searches, and I’ve heard about the Mayan ruins, I’ve heard about Eco tourism in Belize, and I’ve heard about some of the amazing animals like howler monkeys that I can see in Belize. And you do research on those topics using Google or another search engine, and the content that’s created by this hotel pops up and then you’re on the hotel site, and then of course around the content on the right or on the left or at the bottom of the thing that you read, you know, it’s hey check out our special packages to view the howler monkeys, and then oh shoot, I don’t need to go anywhere else. Bookmark this for the place that I should consider staying. They have one of the highest occupancy rates in the entire country for their hotel. Jason Hartman: That’s pretty interesting, because they’ve also segmented, and I’m looking at their website right now by the way, and they’ve got 3 traveler persona’s. They’ve got family, adventure and romance. And then they build content around all of those and packages around all of those. So yeah, very good example. Well, okay, that’s a great example by the way, but can we take that to another industry? Especially that, instead of the larger more cooperate world, the individual solopreneur. You mentioned real estate before, or how about if someone’s an author like yourself or a speaker like yourself, give some ideas on what they might do. David Meerman Scott: Well, I think in my personal case, I do only that kind of marketing. And the most important thing for my marketing is my blog, and I try to average 2 blog posts a week, sometimes I do 3, sometimes I do 1, but I try to average around 2 blog posts a week. And I write about things that are marketing and public relations related, but kind of in a very broad sense. And I also do videos, put them up onto YouTube and Vimeo. I do free E-books and then I share that content on social networks. And that serves as the majority of my marketing and I think of it as a ladder approach. I think of it as, okay, so I’m first going to create content. Free content, totally free content, in the form of blog posts, in the form of E-books, in the form of other sort of free content. Then my hope is that somebody will find that through search engines or somebody suggested it through linkedin or Facebook or something or someone reads a Tweet and it’s been pointed to my content. And then the next step is I hope that maybe they maybe will buy one of my books. And sure that generated a couple dollars in royalty and that’s fine, nothing wrong with that. But then I’m hoping that after they read the book they think, well shoot, you know, I’ve got a conference coming up. Maybe this will be a great speaker to have or hey, you know, I’m part of the organizing committee of this conference. I should recommend we look at this guy as a potential person to speak at the event. And that’s exactly how I do it. And that top of the ladder is the $20,000 speaking engagement. And it’s all driven because of all the free stuff I created early in the process. And what’s interesting is, I don’t know what’s going to happen if you do it right now, but I’d be curious, if you enter the term Marketing Speaker into Google, typically I appear on the first page. I’ve been number one, I’ve been number 2, I’ve been number 3. It kind of depends on the day. Google is constantly changing it’s algorithms. Jason Hartman: Yeah, and it depends on the location and the person too. David Meerman Scott: Yeah, it’s all sorts of things. Jason Hartman: So, from my computer, just so you know, you’re number 4. Which ain’t bad. David Meerman Scott: I’m number 4. Okay, so I’m number 4. So if somebody were to be doing research on marketing speakers because they were having a conference and they need to have somebody, it’s fairly likely they’re going to go to my site because I appear at number 4. Jason Hartman: Actually I’ll tell you, it’s better than that. You’re number 4 and number 5. You have two spots on the first page. David Meerman Scott: That’s funny. Interesting, is one of them my blog? Jason Hartman: One is your primary website and then you have a page on there called Marketing Speaker, and then the other, next result is your main page, your home page. David Meerman Scott: I got it. Okay, so then the idea there is that you cannot rank that highly in the search engines for a popular phrase like marketing speaker unless you have really good content. And the reason is, the way Google algorithms work is that they simply reward the best content and the days are over where you can gain the Google algorithms. It really is driven by the best content, and so the more free stuff I put out there, the more valuable things people link to, the more times people site my work in their work, the more it’ll bubble up to the surface. Jason Hartman: Okay, so let me just drill down for a moment. So you know, fair enough, I completely agree. Put out good content and that’s been my experience too. However, Google as a search engine as a technology cannot tell whether content is good or not, they can tell if people are visiting your site, linking to your site, and they can tell by the volume of content. Certainly a search engine can count the words. But what do you have to say about that? David Meerman Scott: That’s true, but I actually, a lot of search engine optimization people might disagree with me, but I actually think that the Google algorithms do a very very good job based on the things that they do look at, which typically, probably most importantly include the number of people that link to your content. They do a very good job of surfacing the content that is most appropriate for the search term that somebody entered. And, I’m not an expert in search engine optimization, so I can’t really dig into the nuances of the topic, but I can say that I will beat with great content, somebody who tried to gain the system anytime. You have to really create stuff that’s good, I don’t know anything about SCO, but I can still get myself ranked very highly in search engines. Way ahead of people who know all about SCO. Jason Hartman: You know, what you’re saying is so true, because it’s like, I had Harvey Mackay on the show, and I’ve been following him for years and I love the title of, he has such great book titles, you know? But one of the books, really it’s an excellent title, and it really speaks to what you’re saying. Dig your well before you’re thirsty. And what you’re doing by putting out into the world great content is as the late Stephen Covey talks about the law of man vs. the law of nature. You’re sowing the seeds. You’ve been doing it, and Google rewards people who give first. And who just are willing to produce content over time, you can’t do it in a day. You’ve got to just keep chugging the content out there and they will reward you for that, so longevity and giving first is key, yeah. David Meerman Scott: That’s exactly right and what’s remarkable about that is it’s kind of an ownership culture, I mean think about, do you buy a house or do you rent a house? Or do you lease a car or buy a car, right? And you can spend $2,000 to rent a house and at the end of ten years, you’ve spent a lot of money and have had a place to live but you end up with nothing. Or you can spend $2,000 a month on a mortgage owning a house. You own that property, you own that asset. It’s something that you will own forever or until you sell it. And the same thing is true of content. You know, a lot of people will rent space on Google by buying Google AdWords, those are the ads that are on the top or the right of the search results. But if you stop paying your ads disappear, just like if you stop paying rent you can’t live in that place anymore. And when you create content in the ways that we just talked about, that’s an asset you own. In other words, I’ll still next week, next month, even next year, I’ll still be on the first page for marketing speaker because that is something based on the content that I produce that’s really valuable. Jason Hartman: Okay, so any particular tips on the content itself? The content of the content, if you will? David Meerman Scott: Yeah, well, I’ve come up with a new, well relatively new, technique that I’m really excited about. I call it newsjacking. And newsjacking is the topic of an E-book I wrote, that came out late last year. And also there’s a chapter about newsjacking and the latest edition of the new rules of marketing and PR. And if anyone’s interested in this they can go to Google, type in newsjacking, and they’ll find some free content that I’ve written about newsjacking. It’s basically the idea of following breaking news stories and creating content instantly, typically in the form of a blog post that gets indexed by Google instantly, that then pushes your stuff into the dialogue going on in the world about that breaking news topic. And this is great for entrepreneurs, for consultants, for people who are out on their own, who have a particular expertise. People who write books, who speak, who consult, because as there’s a story breaking about any topic, any topic at all, you know there’s a new regulatory change. There’s a fire in the local school, and you’re an expert on fire safety. There’s a drought that means that certain types of plants are dying and you’re an expert on plants. I’m just looking out the window trying to think of examples. It could be anything. It starts to snow, and you’re an expert on tires and you want to write about, you know, you’ve got expertise on snow tires or what not. Any example like that, what you can do is you can create an instant blog post, push it out onto your blog, and then here’s the key, here’s where it’s really interesting. Two things happen. Number 1, people go to the search engines to look for content related to that topic, and Google rewards fresh content. And then the other thing that happens is that reporters and editors are looking for sources to quote in the stories that they’re writing about the topic that’s happening. Let me give you an example. So, a company called Eloqua, they’re a marketing automation software company, their biggest competitor, a company called Market to Lead was acquired by Oracle. So what Joe Payne, the CEO of Eloqua did was he wrote a blog post called Oracle joins the party, and it was about what that acquisition means to over all marketing automation software space. And he put that blog post out two hours after the announcement of the acquisition of his biggest competitor. Then, when reporters from Bloomberg, from Business Week, from PC World, from Information World, a bunch of other publications were writing their stories. They went to the google and typed in the name of the company A Market to Lead that was acquired as well as Oracle, and Joe’s blog post popped up. So then they quoted him in all of their stories. All of those people quoting Joe Payne, the CEO of the competitor in their stories. Then what happened was that the customers of the company that was acquired went and did searches as well, and this is all happening in real time, this is all happening within hours of the announcement. And they see his blog post. And they say oh wow, here’s another company that does the same thing, I’m not sure whether I want to be with Oracle for the future. Maybe I should do business with Eloqua. And they generate a million dollars worth of new business from one blog post. And the key to it was the fact that they were able to get that blog post out really quickly on a topic that they knew people were going to be interested in and on a topic where the author of that blog post, Joe Payne the Ceo of Eloqua, had a very particular expertise. And this technique called newsjacking can be used by anybody that has a particular set of expertise. All it requires is following the news, seeing what’s happening, and then when the time is right, and it may only be once a month or once a quarter, but when the time is right, you get that content out instantly. Jason Hartman: Yeah, you’ve got a great chart on your newsjacking website. That is you, by the way, that is your site as well, right? And there’s a fantastic chart there that shows the amount of interest in a particular news story and then the time in the way those two relate together, you know on the x and y axis, and so you’ve got the breaking news and you say shortly after the breaking news, that’s when you do your newsjacking post. You know, and put it out there on the internet. David Meerman Scott: Yeah, you’ve got to be quick. Jason Hartman: Right, it’s got to be quick. And then right after that the journalists are looking for related stories, they’re looking for additional information, and so they’re calling you or at least they’re writing about you or passing your content on maybe, who knows? And then the excitement and interest grows, then there’s the peak of the cycle, then it’s old news, then it’s done, and you know, you gotta move onto something else. So, that’s a very good life cycle. David Meerman Scott: It is, it is. And it’s really remarkable how well it can work and how it can get you quoted in really big news stories, magazines, newspapers, you know, CNN, BBC, on television. And then sometimes because of your expertise and the fact that you know a lot about that topic, it can actually drive business. Jason Hartman: Yeah, Fantastic. Okay, that’s a great tip, the newsjacking idea. What else, I mean your body of work is so big, that I thought I’d just let you talk about whatever you like. I do want to ask you about the concept of creating a worldwide rave though, as well. David Meerman Scott: Yeah, why don’t we go there, so I have a book called World Wide Rave. It’s currently completely free. It’s a full length book, published by Wiley, my long time publisher. It’s a full length book and it’s completely free in every electronic format. So you can get a free Kindle version, you can get a free iPad version, you can get a free PDF version, a free Barns and Noble Nook version, and so on. And just Google the phrase, World Wide Rave, and you’ll find it. Jason Hartman: Before you go on about the content, I’ve got to ask you why is it free? I found that interesting because I’m a big fan of Chris Anderson and his book Free, was free for a while, but I don’t think it’s free anymore. David Meerman Scott: I don’t think so either. Jason Hartman: But the book is about free content. David Meerman Scott: Yeah, my book is about, how to get attention by having people share your ideas and your stories on the web. And I’m a big fan of the grateful dead, I actually wrote a book called Marketing lessons from the Grateful Dead. And one of the things that the Grateful Dead did was they allowed fans to record their concerts and this led to lots of people sharing Grateful Dead show concert tapes, in the early days it was cassettes and then it became mp3s. One fan to another, which drove interest in the Grateful Dead and drove the fact that they became the most popular touring band in history. Jason Hartman: And back in the day, that was like an amazing thing that they would allow that. Because I have personally witnessed people getting escorted out of concerts by security guards, probably with cameras and so forth recording. Now, that doesn’t happen anymore because there’s just no way they can control it nowadays. David Meerman Scott: Yeah, because of iPhones and all that. Jason Hartman: But in the old days, that was pretty amazing of the Grateful Dead. David Meerman Scott: It was amazing. It was amazing, but what’s more amazing to me as a marketer is that’s what drove their success. They did what everyone said don’t do. Jason Hartman: They understood viral marketing before anybody else did. David Meerman Scott: Yeah, yeah, so that’s what World Wide Rave is about. It’s about interesting techniques to generate ideas that people share around the web that then you can use to market your product or service or your ideas or your company in such a way that a lot more people see it then otherwise would. And I thought, you know what, this book is about this idea, why not make it free? So I worked with my publisher and it took a little while for them to decide that we could do this. I’ve done 6 books with them so this is just 1 out of 6. And we did make it free. Jason Hartman: So let me ask you about that. So, working with, it was John Wiley & sons, right? Working with Wiley on making it free, I mean, why the heck would a publisher agree to free? Now granted, you’ve got other books with them, they’re getting a share of those or on this book, to get them to do this one for free did you have to share some sort of back end revenue with them? David Meerman Scott: No, we just made it free. Basically, the new rules of marketing and PR is one of their bestselling business books ever. It’s done 300,000 copies in English, it’s in 26 languages. My other books sell quite well. World Wide Rave came out in 2009, it’s not one of my more recent books, a sort of backlisted book, although the ideas are still valid. And I said to my publisher, Matt, I said Matt, let’s just think about it this way, if I get you know, 30, 40, 50 or 100,000 more people exposed to my ideas because they read one of my free books, that will drive more people to maybe then take the step of wanting to buy another one of my books. And he agreed, and I did it. So I think it’s a great experiment and it’s an experiment so far that’s working. And I’m glad I work with Wiley because I’m not sure how many publishers would go along with that. Jason Hartman: Yeah, yeah. Good, good. Good stuff. Okay so, give us an example or two if you would, I know we’ve got to wrap up here soon, of some of these ideas that catch on and become a rave, become viral like that. David Meerman Scott: Well what’s interesting to me about it, and we touched on it a little earlier when we talked about the idea of the hotel buyer persona thing, is that one of the things that I really learned is that it’s very, very unlikely that something that’s related to a product will catch on and have people share that. So, I mean, yeah there’s some exceptions. People get pretty excited about the latest addition of the iPhone. But there are very few examples that are like that, so what you need to do if you want to get people to share your ideas and tell your stories is not think about it as they’re sharing the ideas of your products and services. And that’s why you have to say okay, what is it that I can do, that I can provide, that I can create that might be related to my product but that will get people to share. I’ll give you a quick example. There’s a dive resort in the Cayman Islands called Ocean Frontiers. And they did what I call worldwide rave, which is people telling stories about your organization. What they did was created, there’s 55 dive sites in the western part of the Cayman Islands, and they dive all those sites, and they created a challenge that if you dive all those sites, they actually throw a party for you. You get some prizes, they open up a bottle of champagne, there’s a cake, you get a medal, and you get your name on a plaque that’s in the dock where the boat leaves from for this dive resort. And the other thing they do that’s really cool, is they then take photographs of that party, photographs of you getting the rewards, and they post those onto their Facebook page. And what they know for a fact is that people love to share stuff that go out on Facebook so people are sharing those photos around. So it’s not content that says, oh my gosh, we’re the best dive resort in the grand Cayman’s, you should come use our stuff. No one’s going to talk like that. But what they are going to do, what they will talk about, is people will say, oh my gosh I’ve done all 55 of these sites, I’m a super star, look they even threw me a party. And guess what, I went in May with my daughter, and we got certified at Ocean Frontiers and I found out about them through one of my friends on Facebook. And you know, we spent a lot of money down there. We stayed at the resort for 5 days, we dove I think 8 times, and I wouldn’t have been there if they didn’t do this sort of technique of sort of getting people to share ideas and tell stories, so that’s what it’s all about. It’s about what can you do that will encourage other people to talk about you? Jason Hartman: Yeah, and to pass pictures on. I’m curious, do those pictures have image of the company who does these dives? Is it in the background of where the picture’s taken? Jason Hartman: No? None of that. Okay. David Meerman Scott: No, it’s not. You can tell if you follow the bread crumb trail what it is, but no, it typically would, if people would say well shoot, I saw those pictures, where did you dive? I want to dive too. That’s how it happened with me. I found a friend who had posted pictures and I just reached out to him privately and I said, hey tell me a little more about this dive resort. And he goes oh I love them, they’re great. You should check them out. And then that got me to actually go down there. Jason Hartman: Yeah, and the reason I ask that is because we all have to resist the temptation, I think, to slap our logos and our brand all over everything. You know, any advice on that? You can do it a little bit, and it’s got to be tasteful, and if you want someone to pass it on, they’re not going to pass your logo around everywhere, right? David Meerman Scott: No, I think that you don’t make it heavy handed anyway. And in this case because mostly people share on Facebook, that it was originally posted by Ocean Frontiers, and then you just go to Facebook and go into the search engine on Facebook and type in Ocean Frontiers to see how they do it. And it was originally on Ocean Frontiers and then people will repost it onto their Facebook page, so you can see where it originally came from. If anybody’s interested in it, and they say oh shoot, looks like a great place, maybe I should dive there too. Jason Hartman: Right, right. Absolutely, absolutely. Well, just any other things you’d like to mention in closing? Just to wrap this up? David Meerman Scott: Yeah, just one last thing, then I’ve got to bolt too but, this stuff’s fun. And I think that’s what to me is such a great thing about creating content on the web, getting people to share it, doing things like newsjacking which we talked about, is that it can be exciting and it can be fun. And for many entrepreneurs, and business owners and consultants and solopreneurs, marketing can typically be a drag. I don’t want to do a brochure, the last thing I want to do is figure out what my yellow page ad is going to look like or whatever, but the things we’ve been talking about today are really fun. Creating content, doing images and photos, and maybe shooting a video, so I encourage people to think about this stuff not as work, not as marketing, but as hey let’s just create something cool and see if it catches on. Jason Hartman: Yeah, that’s fantastic advice. David, give out your websites if you would. David Meerman Scott: My name David Meerman Scott, just Google that, you’ll find me. We talked earlier, if you Google the word newsjacking you will find the newsjacking stuff. If you Google World Wide Rave, you will find that free book. And my Twitter is @DMScott. Jason Hartman: Fantastic. Well, David, thank you so much for joining us today and sharing some of these great ideas. And hopefully everybody has learned some ideas that will spread and become a viral rave. David Meerman Scott: My pleasure, thanks Jason for having me on.